I want to start out by saying that this is not some sort of fat shaming post – much to the contrary. Not many years ago I weighed 67 kg (about 147 lbs.) – what is considered to be the “ideal” weight for my height. Now I weigh 105 kg (231 lbs.). Yes, my weight fluctuated back and forth over the years, but I had never weighed so much, not even during my pregnancies. In fact, people often ask whether my weight gain had anything to do with my pregnancies. “No”, I answer, “I began gaining more weight after my youngest child turned one”. “So what happened?” is often the next question. Having been the slave of an eating disorder for a long 26 years, I have a lot of answers for that one. Analyzing the motives behind my overeating and binging episodes took up a great portion of my life when I was trying to cure myself, but that is the theme of a sequel to this post. The fact is, my gaining weight, now that I look back, was actually an important step in rethinking my relationship with food and with my own body. What I wanted to share today was a handful of things I learned after gaining close to 40 kg (over 80 lbs). It did take a while for people to notice and start to comment. After all, I am a very tall, big boned woman who likes to wear loose, comfy clothing. But after a certain point people started to comment. A lot. Most people meant well, especially close friends and family. However, I would stare at the mirror and think I didn’t look that bad. No, I didn’t like having a protuberant tummy for the first non-pregnant time in my life (nothing against tummies, but I have always been more pear shaped). But other than that I thought I looked quite good. Medically I am fine too – after looking at the results of a whopping 26 tests, my doctor said my blood work could have been that of a 15-year-old. However, other stuff does bother me a lot, the first being the assumptions people started to make, well-meaning or not. Many assume that being fat means you have health issues or very low self-esteem. Another annoyance is trying to find clothes. For most of my life – even when I was skinny – I have had trouble finding clothes (and shoes!) that fit me, as I am a tall and big boned woman in a region where most ladies are not this large. Now it is so much worse and soooooooo much more expensive, which always feels like I am being punished for some reason. At some point I began to read about the different movements that have been sparking up around the globe to celebrate women of any size and shape (men too, but there is just so much more pressure on women). I discovered that among all of the studies linking body fat to health issues, there are several that have not found such a clear link. But these are not given nearly as much attention by the media. All in all, health and body size is a very personal issue that is linked to a huge number of variables. There are also studies that have linked dieting patterns to eating disorders, and teenage girls are at the greatest risk. So, in the midst of all this, what are the dangers of being a fat mother? To me the greatest dangers of being a fat mother are forgetting to love my body no matter what, trying to change it to conform to the world’s standards, and obsessing over weight-related issues instead of truly enjoying my life. I want my children, and my daughter especially, to know that they are worthy of love regardless of what their bodies might look like, and I must model that example as best as possible. I said this would not be a fat shaming post, but it is not advocating fat either. It is advocating joy, self-love and happiness, no matter what size, shape or state your body is. People (me included, for a long time) tend to think that if you love your body as it is you won’t have the motivation to change. Now I see that not loving my body regardless of anything else only makes things worse, and for a long time only made me want to eat more. Also, for a long time I thought avoiding my body (as in avoiding the mirror) was a good enough substitute for loving it. There is so much more to say, but for now that is a small piece of my story with my body. And you? How do you relate to your body? Tell us your story in the comments! 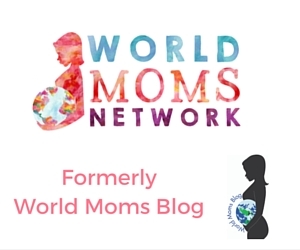 This is an original post to World Moms Network by Eco Ziva of Brazil. Photo credit: Alan Levine. This picture has a creative commons attribution license. Eco, from the greek oikos means home; Ziva has many meanings and roots, including Hebrew (brilliance, light), Slovenian (goddess of life) and Sanskrit (blessing). In Brazil, where EcoZiva has lived for most of her life, giving birth is often termed “giving the light”; thus, she thought, a mother is “home to light” during the nine months of pregnancy, and so the penname EcoZiva came to be for World Moms Blog. Born in the USA in a multi-ethnic extended family, EcoZiva is married and the mother of two boys (aged 12 and three) and a five-year-old girl and a three yearboy. She is trained as a biologist and presently an university researcher/professor, but also a volunteer at the local environmental movement. Thank you for sharing this difficult topic to with us. I was born in Italy where (more often than not) food = love and not “cleaning your plate” was tantamount to rejecting the love of whoever prepared the meal for you. From a very young age I was therefore discouraged from listening to my own body with regards to being full, but rather eat everything put in front of me, because I was a “good girl”. On the flipside of that my father (in particular, but other kids and members of the family too) used to call me “fatty” etc … it was genuinely a case of darned if you do and darned if you don’t. The saddest part of my story is that (objectively) I was *not* a fat teenager, even though I sincerely *believed* that I was. I’m currently about 25 kg heavier than my optimum weight, and I feel about my body exactly the same way I felt about it 25 kg ago! 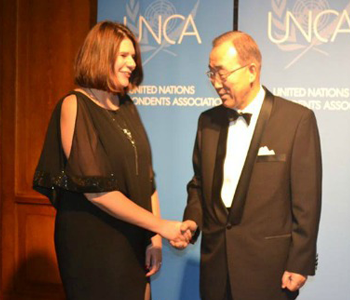 Thank you for sharing your wonderful story, Simona! Ecoziva, I could have written this post myself! I have gained weight, but I feel happy. So, what’s wrong with that, right? I think losing weight would be healthier, and now with the girls in school in September, I can cook more and increase my exercise. But, the key for me, is showing my girls that I LIKE my body! I am their example of body image and very aware of it.